We no longer accept Visa, Mastercard, American Express but we can accept them via Paypal. Personalized quotes are made on all commercial real estate appraisal assignments. Call us at (702) 568-6699 or at 1 (702) 568-6699 and we will provide you with our competitive bid. Residential assignments on tract homes that are less than 3,000 sq. feet in size have a $ 300 to $ 350 fee that is paid COD. Commercial appraisal assignments are bid individually based on their complexity and the amount of time expected to complete them. We cannot provide you with a single fee that applies to all assignments, an appraisal report completed on a stand-alone commercial (retail) building that is 5,000 sq. feet in size generally takes much less time to complete than a report on a 200,000 sq. foot neighborhood shopping center. 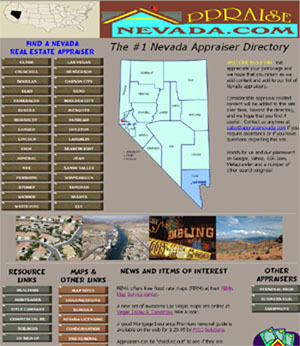 Thus, we bid individually on all commercial appraisal assignments. Call us today. 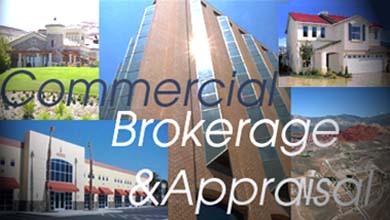 We appraise, Vacant Land, Industrial, Office, Retail and other property types. We have completed commercial appraisal assignments for Condemnation, Divorce, Probate, IRS Filings, Auction Sales, Bankruptcy, Foreclosure, Partnership Disputes and for a range of other purposes.